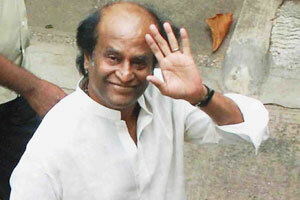 India has only one super star and he is none other than Rajnikanth. Tamil audience has a special affection towards film stars. But not everyone can be a super star like MGR or Rajni. They are born for that. 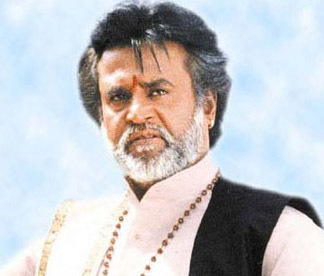 Rajnikanth has the largest fan following in India. He has captured the hearts of countless people across the country and outside the country. The success of every super star is a story of hardship and dedication. And Rajnikanth is the perfect example. There are few factors which helped him to become what he is now. Those 5 S’s are really important for everybody who wants to be a winner. This is the major factor behind the incomparable success of Rajni. He is so down to earth. Rajnikanth is one among the few celebrities who dare to show off their age. He uses painted face only on the screen. Once the light is off, he comes out with his dark face and bald head with all marks of age. Rajni still uses old model vehicles and doesn’t have any craze for modern day’s metro-sexual lifestyle. He is what he is and that makes him special. Rajni was not born under the lime light. His stardom is the result of his struggles. From the status of a bus conductor he was growing. Paths were not smooth. He has many limitations. But he fought with himself and won. Still he keeps that spirit of struggle and that makes him humble. Rajnikanth is famous for his unique style. He didn’t imitate anybody. Originality and uniqueness can win hearts easily. Rajni proved it and people started to imitate him. Rajnikanth lives as a part of the society. He is not a star which is up above the eye level of the society. He knows the pulse of people and they recognized him. That recognition is the strength of Rajni and he keeps its value. He communicates with the people. Society is what that makes somebody a Hero or Zero. Smile. It is the most powerful weapon. Successful people always experimented with it and experienced its power. Rajni has a cute, bright smile always on his face. That is a charm. It works as a magnet which attracts hearts and its power will never fade. Rajnikanth is the finest example. Rajnikanth’s story is really inspirational. Struggle with a unique style. Be simple and social. Keep a bright smile always. Success will follow your path. Rajnikanth is the living example.